According to Code.org, 93% of Texas parents want their child’s school to offer computer science, but only 40% of Texas schools teach it. 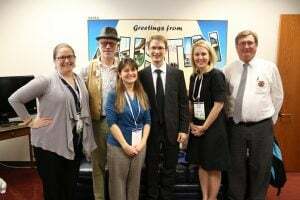 Maybe the reason for their interest is because there are 44,972 computing jobs open in the state of Texas in which the average salary is $93,518. 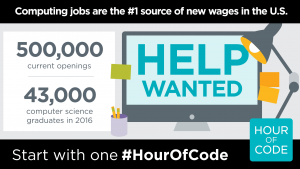 The Hour of Code is a perfect event to help drum up support for computer science in your school, district, and community to help meet the demand of your parents and the job market. The Hour of Code is a one-hour introduction to computer science to demonstrate that anyone can learn the basics of coding. The effort was designed to demystify computer coding and to broaden participation in the field of computer science. The official Hour of Code takes place each year during Computer Science Education Week. The 2018 Computer Science Education Week will be December 3-9, but for all practical purposes, you can host an Hour of Code all year round. 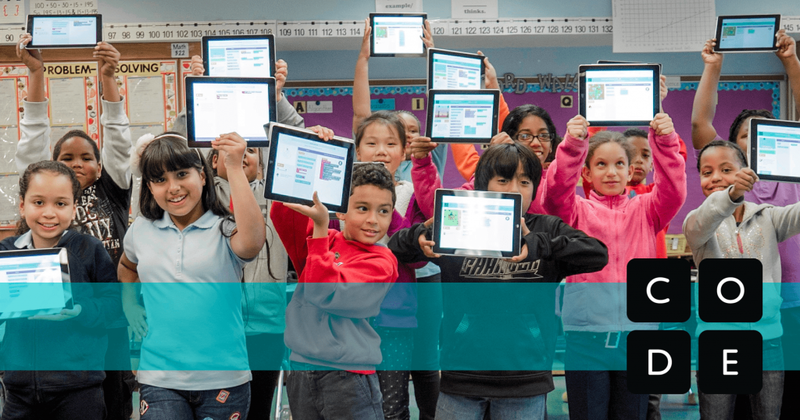 Organizing an Hour of Code event at your school or in your community is easy. Their website provides step-by-step instructions on how to pull off the event, complete with activities your participants can use to learn to code in an hour. They also provide ideas to get your community involved and a FAQ page that will answer almost every question you have about hosting an Hour of Code. Code.org has made is easy for you to host an hour of code. Here are the things they suggest you need to consider to make your event a success. The first thing you need to decide is where are you going to host the event. They have coding activities that you can use for any device, but you need to decide which devices you’ll use and what you’ll need to make sure they have the necessary bandwidth and power. Code.org even has activities to teach computational thinking skills without using a computer so your event can take place anywhere, even a public park! Just make sure you have reviewed what materials you’ll need for these types of “unplugged” activities. You may be thinking, “This sounds great, but I don’t know how to code, so how could I help teach someone else?” All the activities are self-guided so you don’t have to know how. You can learn to code at the same time as your participants! 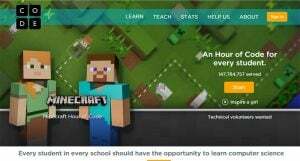 All you have to do is select a tutorial to use in your Hour of Code. All teachers can participate because Code.org has tutorials that are related to math, science, social studies, language arts, fine arts, and computer science. You can sort by subject area, grade level, and by the coding abilities of your participants. Now that you are all jazzed about hosting an Hour of Code, you want to make sure others know about it. Hour of Code has all types of promotional materials for you to use. 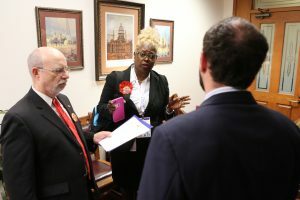 They have handouts, videos, posters, social media, and different tools you can use to reach certain people in your community, including your elected officials. Once you have taken care of all the pre-event details, it is now time to host the event. Have your participants go to code.org/learn and choose the tutorial you picked out. If any of your participants finish early, have them either help someone else or find another tutorial to complete. When your participants complete the hour, be sure and celebrate. You might want to create a photo booth where they could take selfies and post their photos on their favorite social media site using #HourOfCode as your hashtag. You could also create a certificate to be given out at the end of the hour. Hour of Code events are full of energy and excitement. It is the perfect opportunity to demonstrate that everyone can code. Who knows, you may spark an interest in coding for the next Steve Jobs! What are you waiting for? Get busy planning your event! We’re constantly talking and thinking about this thing called “ed tech.” And usually, it’s in the context of how can I make technology tools a part of education? But the reality is that technology is a part of everyday education. So the real question is: how do we unite as classroom teachers, technology leaders, and district/campus leaders to make technology a seamless part of what we’re already doing well? There are many options for training and gathering resources that support great teaching and leadership with technology. At TCEA, our goal is to make your learning experience fun and customized for you. Our annual TCEA Convention & Exposition is where it starts. We bring together the teacher and the superintendent, the novice and the pro, the early adopter and the technophobe, for a flexible week to fit everyone’s needs. If you’re ready to transform from worrying about “ed tech” to just focusing on great teaching and learning strategies, here’s a preview of some of the fantastic presentations happening this year to help support you. Visit convention.tcea.org to see all the presentations and to learn more about how the TCEA Convention & Exposition will meet you where you are and provide solutions for the challenges you’re facing. Need help convincing your leadership this conference is a perfect fit for you? Here are some resources you can use. And don’t forget, the early registration price ends November 14. You can register with a purchase order, check (sent within 30 days of registration), or credit card. As soon as your registration is confirmed, you’ll also gain access to all the TCEA member benefits—including the online Community where you can begin gathering resources and connecting with content experts. Already planning to attend? Share in the comments below what you’re most excited to learn about. And remember: new technology tools will come and go, but strong educators will always be the foundation of student success. Extraordinary Educators Wanted: The TCEA Educator Awards Nominations Are Now Open! Fall brings autumn leaves, new school year excitement, and of course, the opening of the annual TCEA Educator Awards and Scholarships. Each year, TCEA recognizes exemplary educators who are doing the heavy lifting to implement technology, find innovative solutions, and create learning without limits. If you work in education, chances are you know someone doing incredible work. (And there’s no shame in admitting if that person is yourself!) It might be a teacher who is designing opportunities for engaged learning or a librarian who is creating amazement on a limited budget. Or it could be a campus tech specialist or an IT pro who makes your job easier every day by being a rock star at theirs. Here is my personal invite to you to nominate the extraordinary educator or educators in your life! These are the categories for the different awards and the forms to nominate someone. TCEA also awards three scholarships to undergraduate students and those already in the profession. Scholarship recipients are awarded between $500 and $1,000 based on the criteria of the scholarship. Nominations are open from September 10 through October 28, 2018. I hope you will nominate one (or several) amazing educators today. Are you an education technology leader who is often pulled in hundreds of directions as you deal with all the different school technologies and applications? Whether you’re launching a new security system, writing a technology plan that work cohesively with curriculum, or setting up new processes for the latest technology devices for staff and students, the TEC-SIG Spring Meeting has something for you. It offers collaborative learning at its best. TEC-SIG is a Special Interest Group in TCEA dedicated to the critical work being done by CTOs, technology directors, and technology coordinators in schools. Focused on top-level leadership problems and solutions, the group offers a safe, informed place for those involved in making decisions about technology use to discuss new trends, best practices, and technology management. TEC-SIG has three face-to-face meetings a year and also provides an active listserv where tech leaders share ideas and collaborate to solve problems. For a full conference schedule, click here. Register Today for Collaborative Learning! Connect with other passionate and like-minded educators that can assist you with your technology initiatives, help answer important questions, share their expertise, and just chat about what’s happening in their lives. Don’t miss the opportunity to learn in an interactive environment, explore new technology trends, and expand your network while engaging in discussion at the TEC-SIG Spring Meeting. Registration is now open, so make your plans to attend today! As a reader of the TCEA TechNotes blog, chances are you are an ed tech news maven. That means you likely hear about at least five new trends that are going to “transform education” every day. But therein lies the problem. We live in a world where new technologies and resources are coming out at lightning speed. Some tools and strategies really will provide incredible opportunities for learning and engagement while others will be style over substance and will disappear as soon as the next shiny robot, app, or software comes along. They all promise the world. Students will be the most engaged they’ve ever been. Critical thinking skills will abound. Classroom management will become a breeze. It’s as if your curriculum was written just to be correlated to this new product. But how do you separate the true innovations from the flash-in-the-pan fads? TCEA is here to help you figure out what technologies and strategies will best benefit your schools, classrooms, and libraries. We designed our new Innovative Learning Strategies Conference to provide the research-backed answers you need to select the best technologies and resources for your students. What’s the real value of edcamps, Open Education Resources, and PBL? What does leading research tell us about the effectiveness of Minecraft, makerspaces, and gamification? How are Skechnoting and 3D printing best utilized in the classroom? What barriers to implementation might you face with authentic assessment and globalized learning environments and how might you overcome them? You’ll get the answers to these questions and more for all the tools and strategies at the forefront of education. Overall, you’ll leave with a concrete road map for what will work best for your school and environment and how to effectively implement those technologies and ideas. Are You Ready to Spread Innovative Ideas? The Innovative Learning Strategies Conference is intended for campus and district administrators, curriculum specialists, department heads, and other educators in leadership positions. We want to provide valuable information for thought leaders and influencers to share with their schools and departments. Because of your participants in this learning event, you will be able to gather great information and resources and spread it far and wide to have a huge impact. 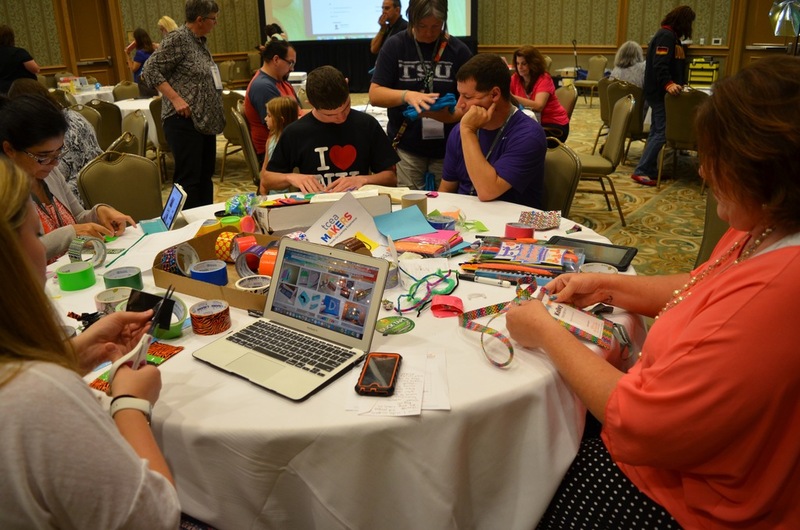 The learning experience will take place in the TCEA Conference Center in Austin, Texas on September 13 – 14. For full details on how to register, hotel offerings, and a detailed schedule, visit the Innovative Learning Strategies website. We hope to see you in Austin this fall so you can get the information you need to find the right technologies and learning strategies to transform your school! My lucky number is 23, but after researching, reflecting, and ‘riting this blog post about Tots, I am considering changing it to 7. Daniel Craig and Sean Connery – it’s a toss up for the best 007 ever! My zip code is 78737 and my house number is 767. AND 2017 marks 7 years of the TCEA Tots and Technology Summer Conference, an amazing learning experience for PreK-5 educators and leaders. You probably guessed it! This blog is about the seven things about Tots that you should know. It’s a conference designed just for elementary educators. There are two locations to choose from: on the beach at Galveston or near the fun in Arlington. There are three words to sum up the event: fun, sun, and innovation. For you: this means networking, ideas, tools, and resources for your classroom. Five vowels – AMAZING, ENERGIZING, INSPIRING, an abundance of OOH & ahh moments, and you will have the rest of the summer to UNPACK all your knowledge. If you need more reasons to attend or a letter of support for your administration, TCEA has you covered. Find the documents here. The early registration discount ends March 31. Hope to see you at the beach or on a roller coaster this summer. What’s the biggest present Santa has ever had to carry in his magic bag? If Rudolph’s nose is red, what color are his eyes? How many elves work in the toy factory? What’s the weather like at the North Pole? These are just some of the questions that your students may be wondering about as we near the Christmas holidays. They want answers, and they want to know that those answers come from the source — the big guy himself. How will you respond? Well, now they can ask their questions directly to Santa and hear his replies during a live chat. For the third year, TCEA is thrilled to be able to bring Santa Claus down from the North Pole to our world headquarters in Austin to chat virtually with students. On December 12 from 2:00 to 2:30 p.m. Central, we invite you to join us via any device with a web browser and talk with Father Christmas. He’ll read one of his favorite Christmas stories, give an update on things happening with Mrs. Claus and the elves, drink some hot chocolate, and then answer holiday questions submitted in advance and live from children (and adults!). There is no fee to attend this chat and no registration is required. The chat will happen through YouTube, so make sure your district does not have it blocked at the time of the event. 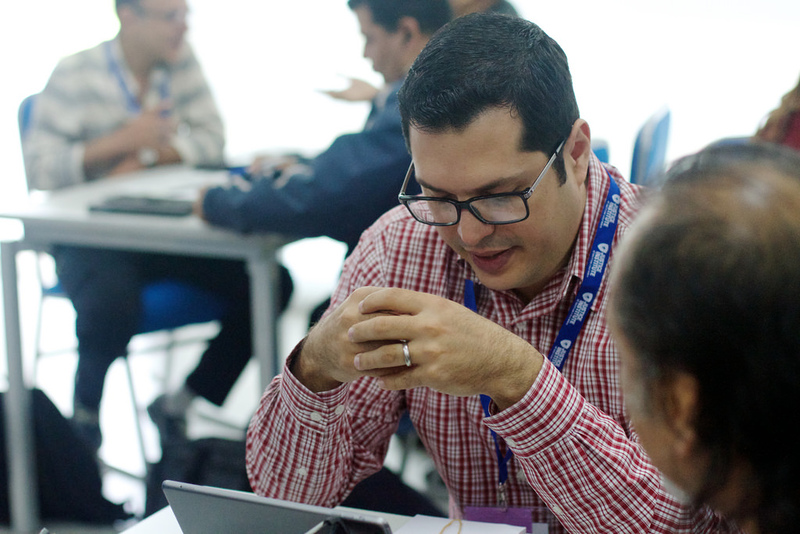 Become a Connected TEC-SIG Educator! Dream more, learn more, inspire more. These aspirations define leadership. And for the Technology Education Coordinators Special Interest Group (TEC-SIG), these words have power. Register for TEC-SIG’s next meeting on October 26, 2016 to tap into this power. At the request of TCEA members, the October 26, 2016 meeting of TEC-SIG has been strategically placed next to the fall TCEA SysAdmin Conference. These two events take place October 26 through October 28, 2016. Stay connected, especially important during Connected Educators’ month. Engage in community-based learning efforts that support hyper-connected students and staff. “How are you using digital signage in your district?” Technologies abound that can shape teaching, learning, and leading. When members ask, “How can I use new edtech in my situation?” they invite you to collaborate with them in world-building. Each effort forces us to re-imagine the possibilities. Whatever your role (technical, policy, instruction), you are invited to dream and learn more. “Use a cheap Android USB dongle and GoogleCast,” shares one TEC-SIG member. “Or,” counters another, “you can use Xibo, Navori, Visix, or flat panels connected to a video multiplier running Powerpoint!” These meetings inspire attendees to learn from each other. Relationships begin in face-to-face encounters that endure via digital connections TEC-SIG makes available post-meeting. “We place digital signage in front of schools, in cafeterias, in hallways, gyms, libraries, and offices. Our high school librarian programs the specific messages that appear on each.” When everyone can be your teacher, it’s important to have a few colleagues you can trust and rely on. Being in the presence of so many educational technologists will inspire you to be a leader. Act now to inspire others to dream more, learn more, do more, and become more. Be a TCEA TEC-SIG Connected Education Leader. TEC-SIG is the largest SIG and was established in 1989 for the purpose of providing a means of communication between technology coordinators, instructional technology leaders, and other administrators. 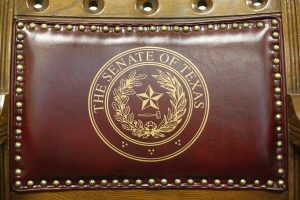 The organization furnishes its members up-to-date information on legislation, happenings within the Texas Education Agency, grants, and TEC SIG activities. Members share their own technology-related experiences at three yearly meetings in an effort to educate and inform each other on what is happening in the field of technology. You can also participate via the email listserv and TCEA Community. The 2016 System Administrator and Technical Support Conference is specifically designed to offer useful and practical information to individuals like you who provide hardware, software, network, and infrastructure support for PreK-16 educators. We have created this conference specifically for the tech savvy system administrator, and we have planned a comprehensive package of strands that covers the real-world problems you encounter every day, offering solutions you can use. I’ve attended a lot of conferences in my educational career: 34 TCEA Conventions & Expositions, seven Tots and Technology conferences, four System Admin conferences, and literally hundreds of other great learning events put on by various associations and groups. I strongly believe in the power of educators meeting together to share expertise and common problems, in the need for networking and finding solutions together, and in the desire to continually “sharpen our saw” so that what we do in classrooms and schools every day makes a meaningful difference for kids. I know that all of you reading this blog believe the same. That’s why I want to encourage you to attend the TCEA 2017 Convention & Exposition in Austin February 6-10, 2017. More than just a convention, this event every year is a major learning experience for dedicated educators from around the globe. And it’s just downright fun, too! Here are the top seven reasons why you simply MUST attend! Everyone wants to hang out with rock stars. And at the TCEA convention, we’ll have the most famous ed tech stars in the world. Accost them in the bathroom, stalk them in sessions, and put a face to a name of your Twitter have-to-follows. This is your chance to rub shoulders and learn from the best and the brightest gurus in our field. 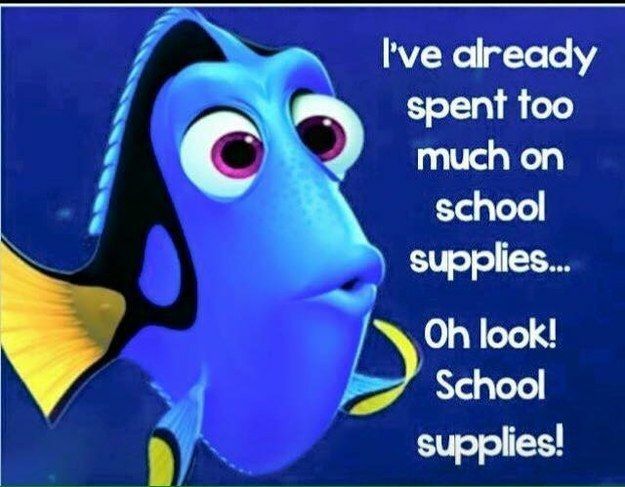 You need more swag for your classroom because you’ve already gone through all of the things you bought from Oriental Trading Company for your students for the entire year. TCEA’s amazing exhibitors and the wacky board members who present the First Timers’ sessions always have the best toys and giveaways that will restock your supply closet and make you the most popular teacher on campus. There are still a couple of iPad apps or Chrome extensions that you don’t know about, but might be able to use with your kids or staff. TCEA’s presenters are carefully selected for their outstanding knowledge and up-to-date expertise in the integration of all kinds of technologies, including apps, extensions, websites, Web 2.0 tools, social media, and much, much more. In the most steps competition with your campus, you are lagging far behind the PE teachers and coaches. Come walk the Austin Convention Center with its 881,400 square feet and its six city blocks, and you’ll leave them lagging in the dust. You won’t feel like a nerd or geek with the crowd at TCEA. Everyone there will have multiple devices, numerous dongles, and will understand your frantic, desperate rush to find an electrical outlet in the next five minutes. You’ve been thinking about repapering your dining room, but can’t really afford new wallpaper. 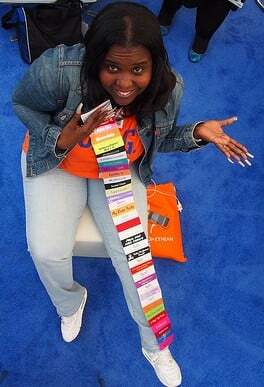 At the TCEA convention, you can grab handfuls of ribbons to wear from your badge all the way down to the floor, and then use them afterwards to redecorate. Whether you are an administrator, a librarian, a technician, a teacher, a paraprofessional, or a parent, you want to make the world better for the children you come in contact with each day. Learn from others with the same goal at TCEA 2017, discover new and effective ways to engage students, and ensure that your daily work is based on best practice and the latest research. I look forward to seeing each of you in Austin the first week of February!